"Sodalite is a beautiful blue silicate mineral. This is an sample of our inventory. 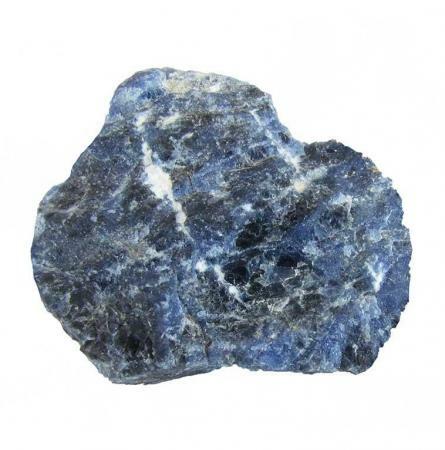 Your piece of sodalite will look very much like the one pictured here. each specimen is about 2 inches across and is colored light and dark blue with streaks and patches of white."